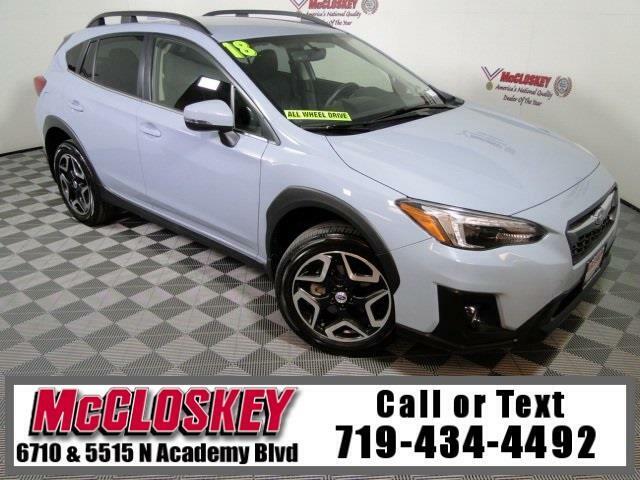 Luxurious 2018 Subaru Crosstrek 2.0i Limited All Wheel Drive with Blindspot Monitor, Keyless Entry, Starlink, Push Button Start, Backup Camera, and Heated Leather Seats! The top-of-the-line 2.0i Limited builds on the features of the Premium with 18-inch wheels, LED adaptive headlights, a larger 8-inch dashboard display, leather seating, automatic climate control, keyless entry and ignition, and a six-way power-adjustable driver seat. While the Crosstrek's Impreza-based bones are solid, the hard tires and tall ride height result in compromised handling. Small and large bumps on the highway are absorbed easily and quickly. On undulating hills, the body feels stable.